The Camry's hybrid variant accounts for 90 percent of all Camry variants, reinforcing Toyota's pledge on continuing with hybrids. Despite the Government of India deciding to hike tax rates for hybrid vehicles, Toyota has vowed to go strong with its hybrid car sales. The company has stated that it will continue focusing on hybrid vehicles, as they are the most sensible way of reducing fuel consumption as well as pollution levels. In a thorough tax reform, the Government of India has hiked tax rates for hybrid vehicles by 12.5 percent, leading to overall tax of nearly 30 percent on hybrid cars. The move was met with some criticism as it somewhat contradicts the Government's aim to electrify cars over the next decade. Hybrid cars are the first step towards shifting to electric vehicles, but it seems like the Government of India intends to jump the queue and transit directly to EVs. 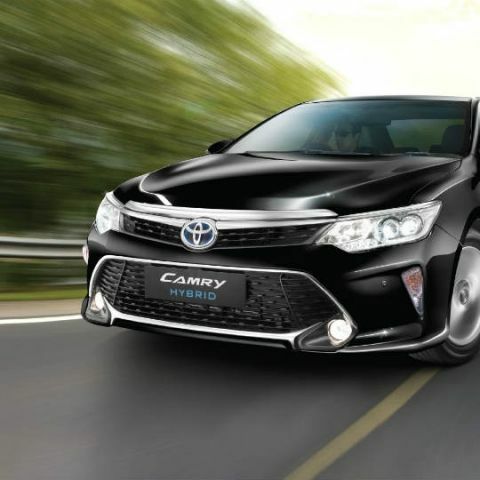 Toyota presently has two full hybrid cars – Camry and Prius, selling in India. While the Prius is purely hybrid, the Camry does offer a combustion engine-only variant. However, the hybrid variant has been so popular that nearly 90 percent of all Camry sales are accounted for by the Camry hybrid. Despite the hiked tax rate, Toyota has stated that it will remain committed to producing hybrid vehicles in future. The company acknowledges that its sales figures will take a significant hit, but aims to continue selling hybrid vehicles as a commitment to cleaner emission levels. Companies like Mahindra have already spoken about working on better hybrid powertrains, but are looking forward to some revision in the tax rates to make hybrid vehicles more sustainable. Mahindra, along with Maruti Suzuki had started rolling out mild hybrid units in a number of popular vehicles to increase awareness and spread the number of hybrid cars on Indian roads. However, the tax restrictions seem to have thrown much of these plans in jeopardy, and it remains to be seen how the government takes things forward now. Lenovo A6000 receives no connectivity despite connected to wifi router.